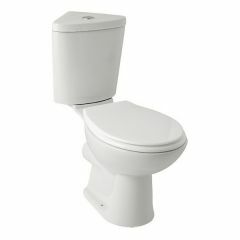 If you have a small space, a corner toilet makes a great space saver. Close Coupled Corner toilets are also great in odd shape rooms and tuck away nicely in the corner! Corner toilets are often a winner in small cloakrooms or small en-suite bathrooms.